Social Yaruna is a Johannesburg-based event management company founded by 24-year-old Thabang Modupo and 23-year-old Thobile Nhlapo. They have noticed that many artists face hardships to showcase their work and to get exposure, especially when their art form is considered as unusual. Both entrepreneurs decided to fix this problem by organising their own artistic events, merging diverse art forms. 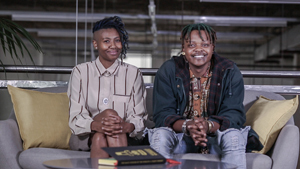 By fostering the events they have always wanted to see in the industry, Thabang and Thobile want their business to grow along with the artists they work with and to bring the best performances and experiences of modern-day South African pop culture to massive audiences.